Instagram photos are addictive enough, but when viewed on Flipboard those images transform into an eye-popping, must-flip magazine. Here’s how to get started: Tap on the red â€œMoreâ€ ribbon and hit â€œSocialâ€ to connect your Instagram account. Then start looking at image-packed pages that feature your own photos, photos of people you follow, photos you’ve liked on the app, and Instagram’s own Popular feed. 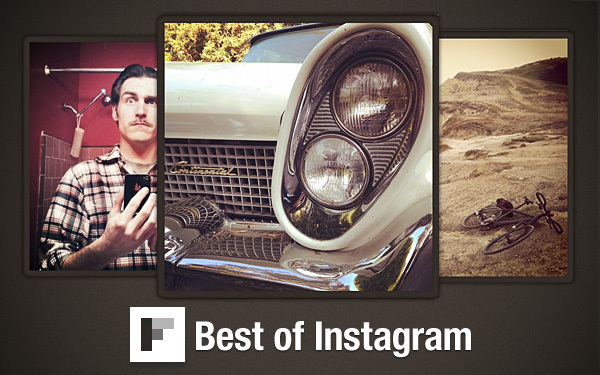 Flip on for our list of iPhone-ographers that should be on your list of favorites. @fashion: Mal Sherlock is the enviable man who nabbed the name @fashion on Instagram — a responsibility he takes seriously. 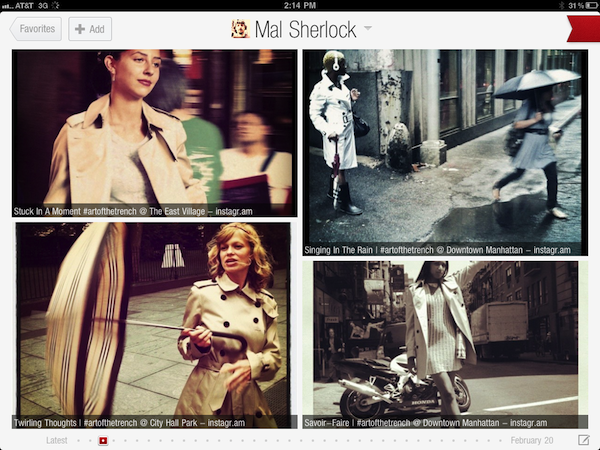 Sherlock’s iPhone lens beautifully captures how New York City stays on the cutting edge of style. To see more from @fashion, tap here. @jamieoliver: â€œThe Naked Chefâ€ Jamie Oliver isn’t just another celebrity cook: the culinary guru campaigned vigorously for healthier school lunches, and in 2010 received the TED Prize for his efforts. On Instagram, he has over 109,000 followers who gorge on his photos of food, fun, and family life. 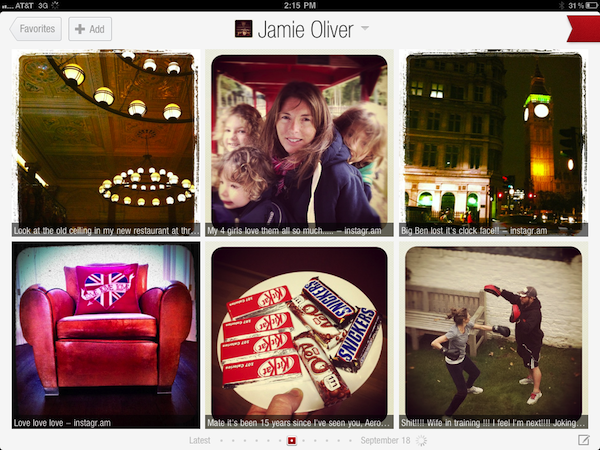 To see more from @jamieoliver, tap here. 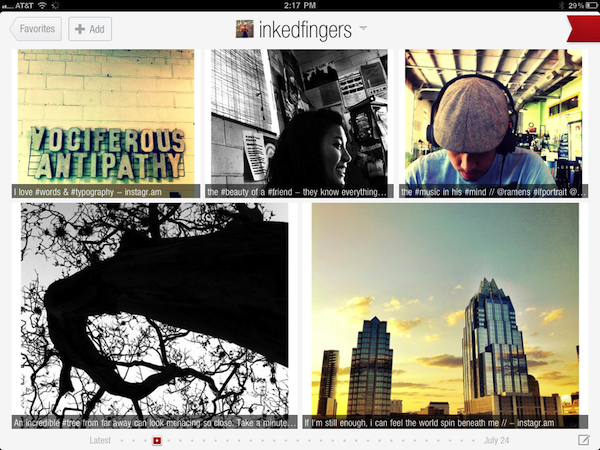 @inkedfingers: Inked Fingers, aka Carli Kiene, is an Austin-based wedding and lifestyle photographer. She and her husband/fellow photographer John say they’re in the business of â€œphotographing what makes the world go round: love.â€ To see more from @inkedfingers, tap here. 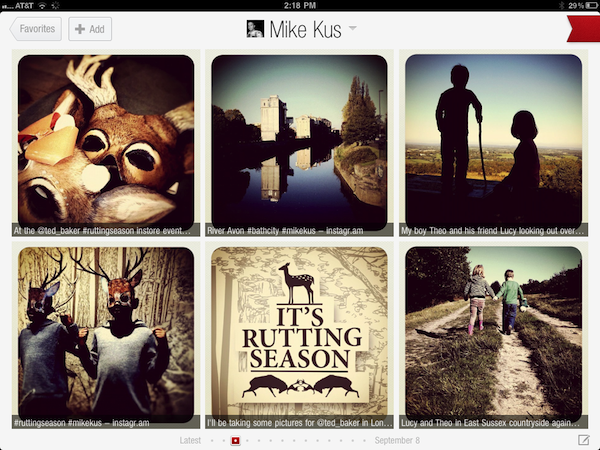 @mikekus: This graphic/web designer, illustrator and self-described â€œInstagram addictâ€ is based in Bath, England. His wistful images are rich in sepia tones, and his depiction of his hometown is especially magical. To see more from @mikekus, tap here. @koci: The New York Times‘ Lens blog calls UC Berkeley assistant professor of journalism Richard Koci Hernandez â€œa distinctive voice on Instagram.â€ For one, he uses black and white filters to add a distinctive geometric and shadowy quality to all his photos. 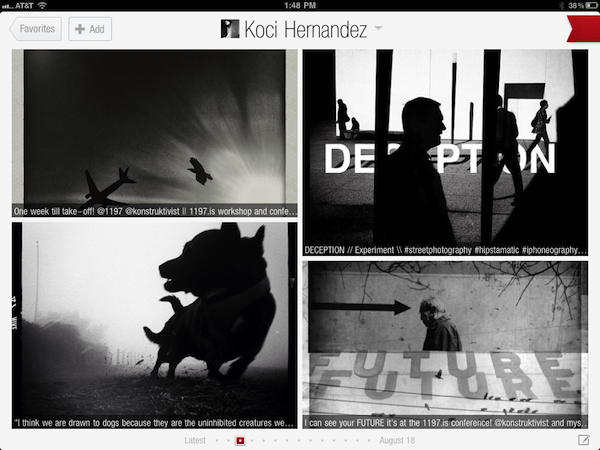 To see more from @koci, tap here. @jenniferjeffrey: Jennifer Jeffrey’s stream is devoted to San Francisco’s hard and soft edges, from graffiti and warehouses to the city’s unique natural resources. From time to time, she also uploads photos of the magazines and books she’s reading. 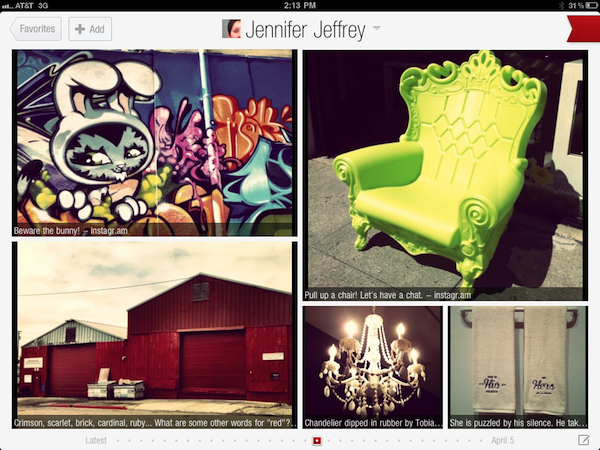 To see more from @jenniferjeffrey, tap here.